Nordhavnen. 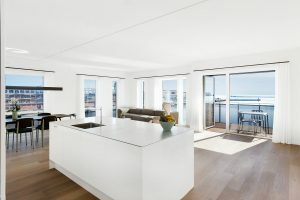 A district of grand visions, Copenhagen’s northern docklands offer unique opportunities to establish new hotels in close proximity to the city’s cruise port and to new business and tourism developments that are set to transform the Danish capital. 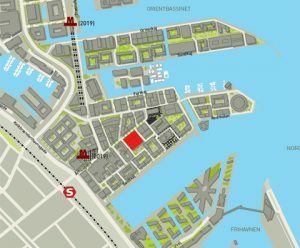 Copenhagen’s northern harbour district (Nordhavnen) is undergoing rapid development from industrial dockland to an innovative mix-used waterfront district. Nordhavnen is one of Europe’s largest urban development areas, comprising 300 hectares. Currently designated for phased development (2010-2050), the district will eventually offer homes and workplaces for 60-80,000 people. But as with many of Copenhagen’s new urban developments, the city is currently under pressure by investors to speed up the phased approach. 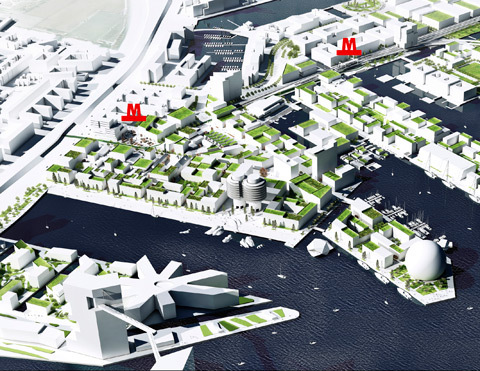 Nordhavnen is gaining an increased interest among leisure-market operators due to the opening in 2014 of the city’s new 1.1km cruise wharf (Oceankaj), which in 2019 will be connected directly to the city centre by metro service (M4). Copenhagen is the largest cruise port in the Baltic Sea, handling more than 850,000 passengers annually. Home to Scandinavia’s best-connected airport, the city is also the leading turnaround port (i.e. where passengers embark or disembark) for cruise vessels heading to Norway and Baltic Sea destinations, which is why Copenhagen is the cruise port in the region that sees most overnight stays by cruise travellers. And although only around half of cruise travellers visiting Copenhagen arrive at Oceankaj (the other half at Langelinie), most turnaround calls by cruise ships are to Oceankaj. 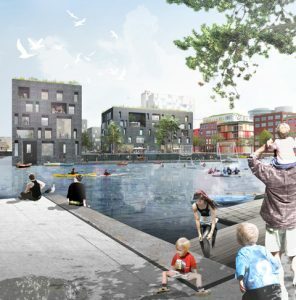 A group of developers are currently seeking political backing and investors for a DKK 6.5 billion project right next to the Oceankaj cruise wharf. The project includes a major Hans Christian Andersen theme park and a 280-metre high-rise residential development called the Andersen Adventure Tower, designed by Bjarke Ingels Group. Planned as the tallest building in Scandinavia, the tower will include a hotel. The project will also have its own station on the M4 metro line, providing 24/7 transit from the new development to the city centre and airport. 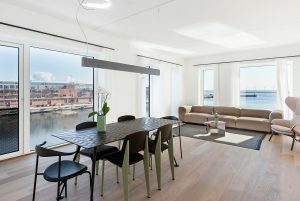 Nordhavnen itself is already developing as an innovative destination with appeal to local residents as well as expats alike. The district is being planned as an urban green-tech test laboratory. One example is the new international public school, designed with the world’s largest solar-panel façade. The dockland heritage is being preserved with the reuse of many existing buildings, most notably close to Nordhavn Station. New islands and recreational canals are also being added to ensure the district develops as a liveable and sustainable waterside neighbourhood. Nordhavnen is located between two already developed mixed-use dockland districts: Tuborg Havn to the north and Frihavnen to the south, both of which have attracted a wide range of Danish companies, including shipping companies, banks and software developers. Nordhavnen saw the first post-industrial investment in the late 1980s with the development of a 65,000m2 business park around the area of Kalkbrænderihavnen. In 2013, the first phase of the current urban plan for Nordhavnen was initiated with the establishment of one of the world’s largest UN compounds (UN City) on the wharf of Marmormolen. Currently, investors are looking for leaseholders for two proposed landmark office blocks designed by Steven Holl, called Copenhagen Gate. The first tower to be developed will be the one located on Marmormolen. 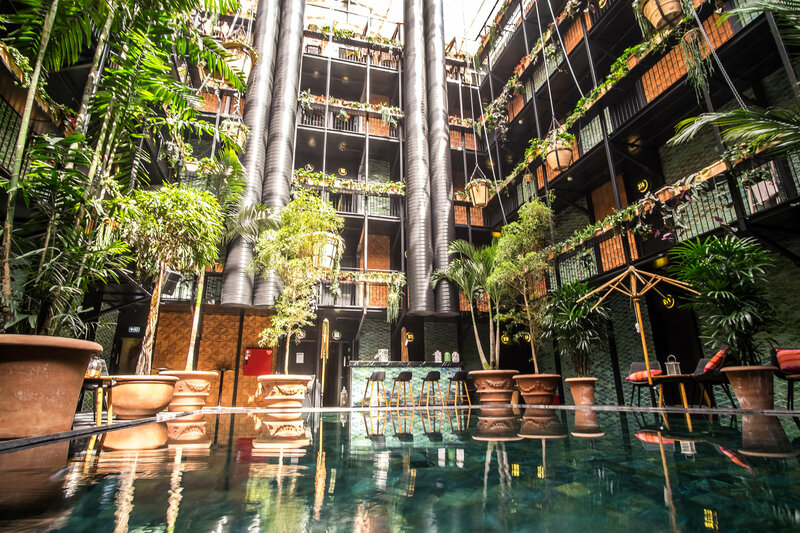 Several prospect hotel projects in Nordhavnen are currently being studied by investors, and two hotel apartment operators targeting the business segment have already established themselves in the immediate vicinity. Major new infrastructure projects are currently underway in Nordhavnen. In 2017, the district will be connected to the northbound E47/E55 motorway by an underground link, which will allow container freight to bypass the district. Parking garages and underground parking are also planned. And in late 2019, a new fully-automatic metro line (M4) will open, initially with two stations in the district (Nordhavn and Orientkaj) that will enjoy 3-7-minute interval service directly to the city centre 24/7. Currently, the existing Nordhavn Station connects the area with the city centre and airport via metropolitan and regional trains.